Thank goodness someone brought along a box of kleenex. 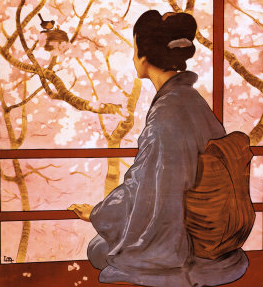 This summer’s Central City Opera House opens with Madama Butterfly. I went to the free final dress rehearsal with friends. It was a 2-Kleenex performance. The lead actor, the cause of Madam Butterfly’s suffering, actually got booed when he stepped out on stage at the end. He looked startled, but it shows how well he played his part. Key performers are hired from a worldwide selection of BEST opera singers and spend the season in Central City. There are two more operas coming up this summer in Central City, and they too will offer free admission to the final dress rehearsals. These operas include Orpheus in the Underworld. The program synopsis notes that there isn’t a serious moment in this opera. It’s pure escapism and unapologetic entertainment.” Three Decembers focuses on the difficulty of communication between parents and children who grow apart because of things unspoken and unexplored in their relationships. Central City is a good place to go when the weather gets hot in Boulder. The rule of thumb is: you lose 10 degrees of heat for every 1,000 foot gain of elevation. It was about 25 degrees cooler in the mountains. Then too, my iPod friend, Jane, at the Trident Cafe, informs me that if you attend the opera mid-day, you can also pay $12 to attend the Opera A La Cart. This mini-opera is held across the street from the Central City Opera House in a former horse stable. The setting is intimate. The music, thrilling. The next Opera A La Carte is July 7th 1:15 PM.